Glory House Global Sources is a decade old sourcing agent for knitted and woven apparels for men's, ladies, kids as well as home textiles. Harnessing our years of experience in product customisation, we have developed our core competence in providing desired ready made fashion garments to our valued clients. Since our inception in the year 1998, we have been consistently following a path of progressive development with our product excellence, customisation and timely delivery. Today we are reckoned as a dependable and professionally competent organisation. In a short span of a decade we have positioned ourselves as one of the front runners, as sourcing agents of high quality apparels of knitted / woven fabrics such as ladies wear, kids wear, men's wear & Babies wear also wide- ranging home furnishing products. Member of Textile Committee Approved by Minstey of Textile. Our business management covers a broad range of disciplines including research, design, testing and inspection of all our products. We are engaged in supply & export of a wide range of Ladies garments, Ladies fashion garments. Through honesty, integrity and passion for excellence, we continue our growth. 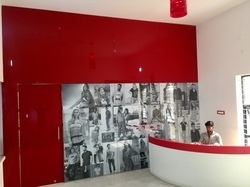 Keeping in mind about the technical development of Garment Industry and to cater to the ever increasing demand for quality knitted garments, we have our modern factory in par with Industry standards, equipped with advanced machineries like Singer stitching machines, over lock stitching machines, Flat lock stitching machines, Automatic Ironing machines, Rib cutting machines and many more. Design and creativity, quality fashion products have been identified as major competitive advantages of our Glory House. We manufacture an attractive range of garments with contemporary designs amalgamated with aesthetic colors to suit the body contours. Our trendy look of western outfits with a touch of tradition is a style statement in itself. Customization of designs as per client’s specifics is of vital importance to us. We customize the design & develop it focusing not only the buyer’s specification but also the latest trends. How to amalgamate your tastes & the designs with the current style & trends. Ensuring correct shipping documents and prior approval from the clients before and post shipment. This ensures trouble free delivery & tracking upto the destination. Served a wide clientele of satisfied customers. With the best of infrastructure and superior quality products, we know our customers define us. All the handwork and efforts that we put in are ultimately rewarded by the customers worldwide, but with years of experience and knowledge we can say as a matter of fact that without employees & suppliers we are nothing. Considering this fact, we also aim to build long lasting relationships to satisfy all the stakeholders. A cutting edge infrastructure facility coupled with the efforts of a dynamic team have helped us to identify most trustworthy vendor base that has provided us with a strong platform to explore virgin territories. Our innovative and out of the box offerings is the differentiator that sets us apart from other sourcing companies. Our sincere efforts played a vital role in making us the preferred choice of the clients. We listen to their queries and specifications and ensure that they are served accordingly. We are led by the motivational guidance of Mr. Mac our Managing Director, whose acumen as a business analyst and strategist in the garment industry helps us to navigate most tricky situations with sustained efforts at offering clients with the best that they deserve. His able, dynamic, determined guidance has nurtured a highly experienced and motivated team of quality auditors, designers, technicians, logistics executives who share his passion for garnering end to end client satisfaction through total quality management. Total Quality Management (TQM) has been the mainstay that has allowed us to remain in a frontline position. Glory House is enriched by the total commitment of a team who identifies with the organisational goal of earning client satisfaction through uncompromising quality standards that stand the test of time. Our team exemplifies true spirit of unified efforts, acting alongside our vendors at achieving sustainable excellence. We believe in making profits as that is the goal of a healthy business entity. But our profit is earned not at the expense of our trusted clients but by meeting all their expectations that they feel that they can trust us to fulfill. 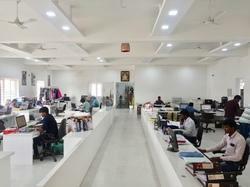 The company has been recognised as one of the most successful buying and sourcing agencies in India and other parts of world.